Match Me Happy’s Kent Dating Site is a great place to be if you’re looking for a happy relationship. Meeting the right person can be hard and after being knocked down it can feel like true love is a million miles away but by becoming a member, you’ll meet a huge group of Kent singles who would love to get to know you! 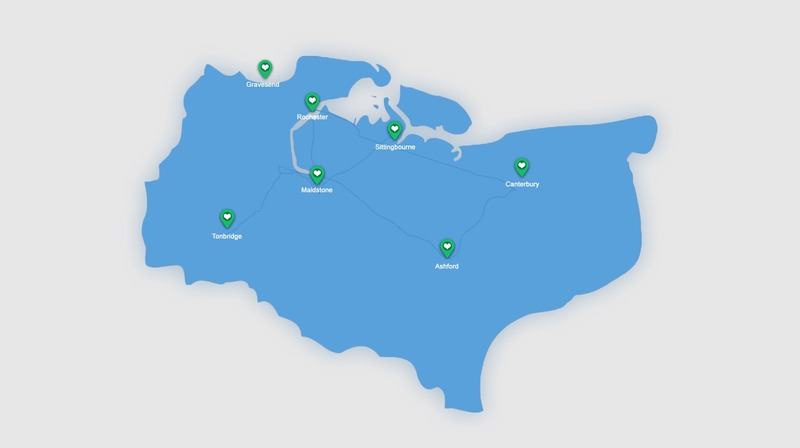 Kent is a huge place we know, so we target locations to make it even easier for you to meet someone close by. From Maidstone to Rochester, Sittingbourne to Gravesend and everywhere in between. There’s plenty to discover on a fun date in Kent, try punting in Canterbury and enjoy the cosy pubs and markets of Ashford and Tonbridge. You’ll never be short on ideas and the variety of towns and villages within Kent mean you’ll never have a disappointing date. There’s so much to see! We think it’s important to show you singles nearby, this way you’re able to date often and when you do find someone you match with, you’ll both be local if you keep your search settings close by! Your true love could even be right around the corner! Safety and support is our priority so you’ll find we’ll always be on hand if you have any questions and queries and when it comes to setting up the site you’ll find step by step instructions that make setting up easy. First things first; a photo! Upload one you feel confident with, smiles are always good and receive the most attention! Remember this is the photo that represents you and the main image on your profile when people are browsing. Now you can write a short bio about yourself, try describing yourself in a few sentences, remember to sound friendly and approachable! Join now to become a member and start chatting to singles in Kent. It won’t be long until you’re dating and you’ll find the journey really can be charming, exciting and entertaining! Why wait a moment more?